And Jabez called on the God of Israel saying, “Oh, that You would bless me indeed, and enlarge my territory, that Your hand would be with me, and that You would keep me from evil, that I may not cause pain!” So God granted him what he requested (1Chronicles 4:10). God is ready to listen to the expression of our pain. Don’t keep quiet about that trouble you are in; talk to God about it. Tell it to Jesus. What a friend we have in Jesus. What needless pain we bear all because we do not carry everything to God in prayer. Instead of switching into depression mode, switch to prayer mode. If God is your God; He’s your father and friend too. Tell Him every tiny little detail of what you’re going through right this moment. Who do you call out to when trouble comes? Who do you reach out to as your anchor when the storms rage? 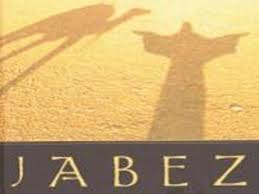 Like Jabez, call upon GOD and not man. Not your contacts, the long legs and connections that you think you have. God will not share His glory with any man. Do you know who you believe? I know who I believe; I worship the Lord. And He is the Almighty God. All power belongs to Him. Be specific in your prayers. There’s this prayer in Yoruba that we usually joke with in my house years back; “A t’oro abebe”. The real meaning is ‘we ask and plead’ but we would say ‘We are begging for hand fan’. We would also say that what if angels heard that prayer and decided to give you a hand fan (on a lighter mood). Anyway, make your requests known unto God in clear terms. Jabez told God what he wanted it. Bless me. . .indeed. Not anyhow blessing. He wanted the real deal. He sought enlargement from God. And asked that the hand of God will be on Him. God’s protection was sure for Him. He asked for deliverance. He asked for what he wanted to become. He wanted to cease being a burden and a source of pain.
. . . And God granted him what he requested. May God hear us as we call on Him in Jesus’ name. Talk to God. . .
Lord visit us this day, hear our cry oh God, attend to our prayers. We run to You, The Rock that is higher than us with our overwhelmed heart. Minister healing to every sick body. Revive every weary spirit and soul. . . In Jesus’ most precious name!